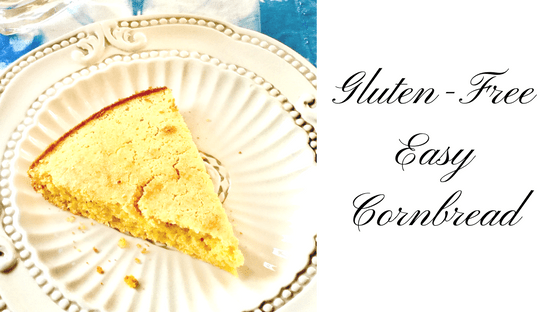 Do you love a moist cornbread that’s so versatile it can go from breakfast to dinner to dessert? The options are endless with this one! 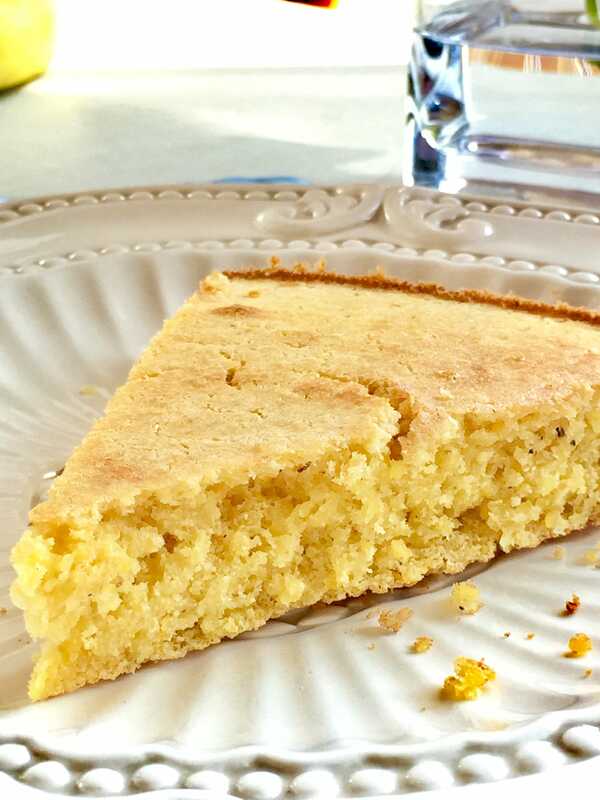 Savory, sweet, topped with a fruit compote – you name it, this cornbread can stand alone or be a team player in any meal you wish. I don’t eat a lot of regular bread so when I buy a loaf, I put it in the freezer and it usually takes a couple of months to eat through it. But this morning I opened up my freezer — NO BREAD! 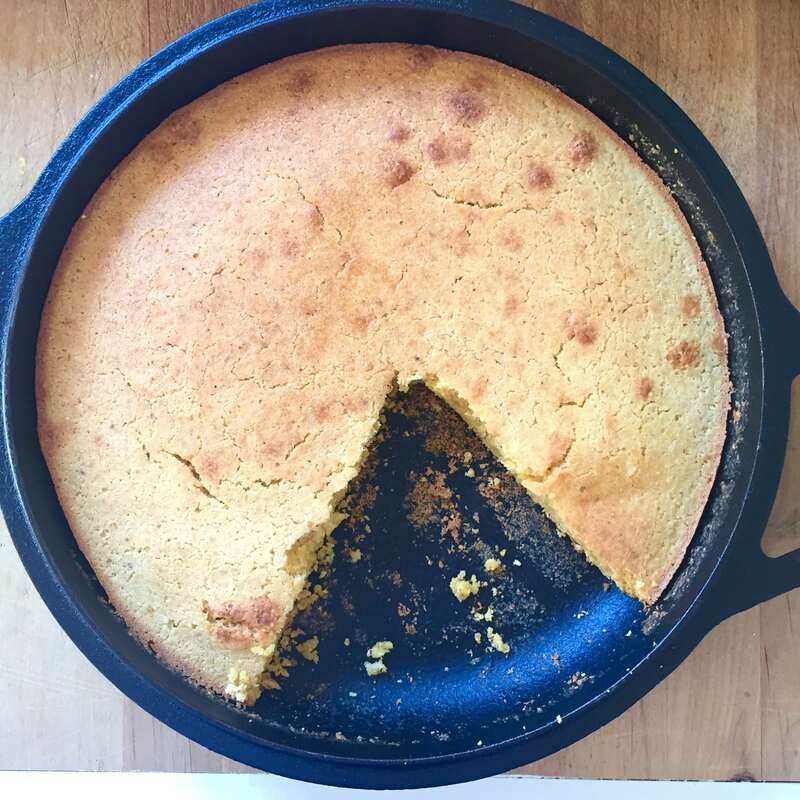 – so I whipped up this super easy and incredible tasting cornbread in less than 30 minutes. It draws its healthfulness from the humble chick pea that is loaded with protein and dietary fiber. You see that garbanzo bean flour is the bees knees in the protein and fiber departments. With a mild flavor profile, it’s a great flour to keep in a sealed container in your refrigerator or freezer to make breads, muffins, or thicken gravies. *PRO-TIP: When using as a replacement for standard AP flour, or wheat flours, you’ll a) want to use slightly less, about 10% less or b) up the moisture content as garbanzo bean flour is heavier than standard flours. If your baked goods with garbanzo bean flour come out brick-like and heavy, you know the recipe needs more leavening or more moisture/liquid. 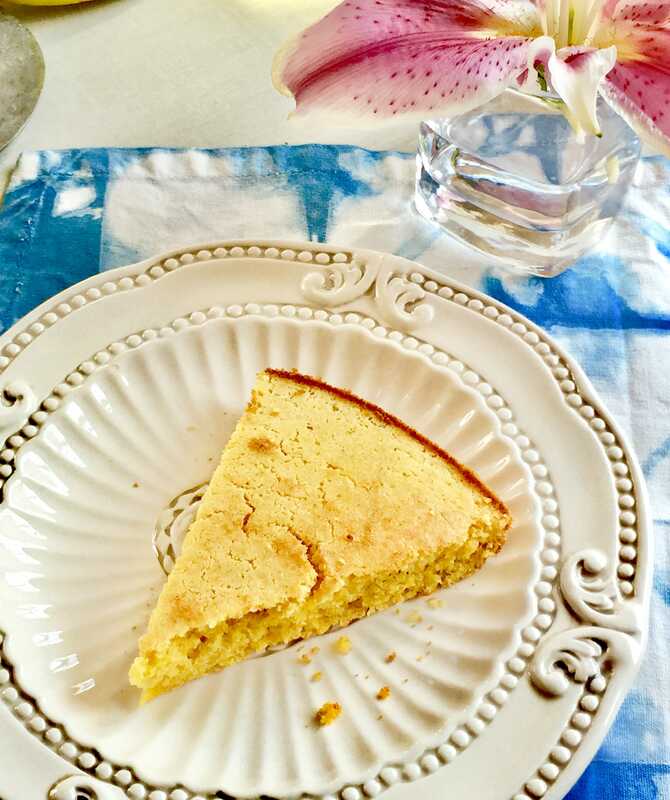 The baking powder (leavening) plus extra moisture (1/3 cup additional water/milk) in this recipe guarantees a moist cornbread that’s even a little chewy! Whisk egg into warmed butter. Add milk and combine. Add wet ingredients to dry ingredients and whisk until no dry ingredients remain. Pour into a well-greased pan (anything square or round, 8-10″ will yield you a nice heighth bread). Cast iron is preferred because it keeps the bread warm. Bake for 20-22 minutes. If using a convection oven, bake 17-19 minutes. Do not overbake. Let sit for 5 minutes and serve with spread of your choice! I like butter and honey but ghee, coconut butter, jam or nut butters are all good.